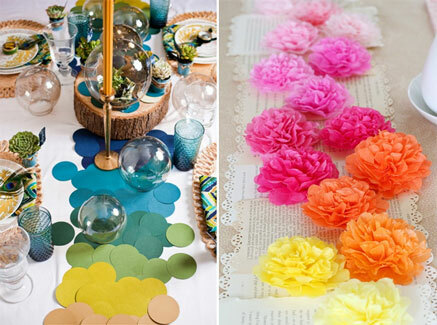 We love everything unique and fun so we decided to put together some of our favorite unique, DIY table runners. All of these you could make yourself and they would all be inexpensive (which is the best part of all)! Photos and Moss. We really like the idea of using family photos as a table runner—it’s entertaining to your guest and is a great way to tie in your roots. 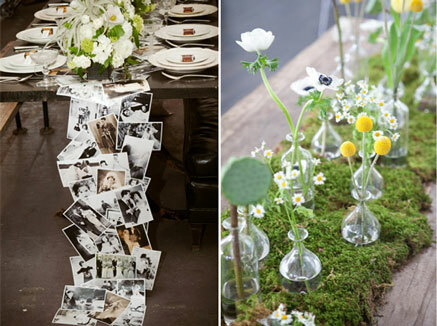 Speaking of “roots” we are huge fans of moss table runners–it’s so playful and outdoorsy! Wood and Typewriter. The wood plank is so simple and cheap, but adds a lot to your table. 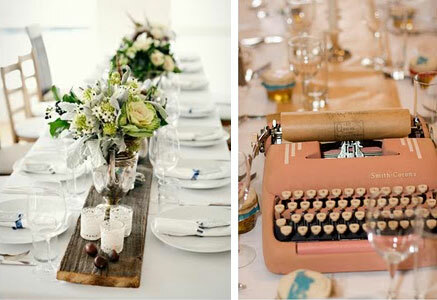 We are simply giddy over the idea of using a typewriter with paper dispensing from it as a table runner. Hole Punches and Tissue Paper. 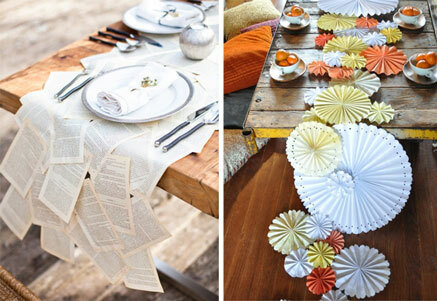 Hole punches are a super easy way to add color and a spark of fun to your table. While tissue paper flowers can be more difficult, but definitely worth the extra effort!